Northeast Florida’s preeminent music and food celebration is coming this weekend, April 5-7, to Francis Field in the Oldest City! 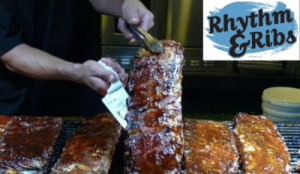 The 24th Annual Rhythm & Ribs Festival combines great barbeque, live music and fun times, all for a good cause. Hosted by the St. Augustine Sunrise Rotary Club, the event’s proceeds benefit many organizations like Betty Griffin House, St. Francis House, Habitat for Humanity, S.A.F.E. Pet Rescue, St. Augustine Orchestra, and many other important community institutions.